Although it sounds like a complex medical term, otolaryngology is simply the study of medicine that deals with head and neck surgeries, specifically with ear, nose and throat (ENT) disorders. These disorders can include any abnormalities in the broad areas of balance, smell, sound, and taste. 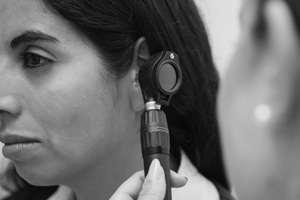 Otolaryngologists, ENT specialists, and otorhinolaryngologists are the technical names for the physicians that deal with diagnosing and treating the diseases and disorders involved with the field. 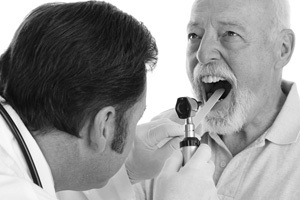 Many physicians choose to concentrate on diagnosing and treating a specific aspect of otolaryngology, like voice disorders, thyroid/parathyroid surgery, hearing imbalance disorders, or facial plastic surgery. 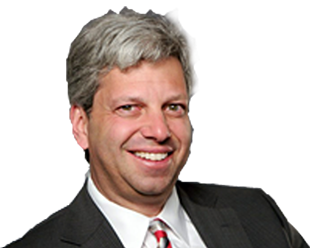 Dr. Cohen, for example, has a special interest in allergies, sinusitis, and obstructive sleep apnea. His focus aims to help patients stop suffering from allergies and sinus pressure, and to help them stop snoring. In between the facial bones are openings called sinuses where mucus moves to the nose. Sinusitis occurs when the inner lining of the sinuses swell in size and the openings become blocked, not allowing fluids to pass. These blocked fluids could lead to painful pressure. There are two main categories of sinusitis: recurring acute, meaning it occurs for less than four weeks, and chronic, meaning it occurs for eight weeks or more. Causes of sinusitis can range from bacteria and viruses to asthma and allergies. Although nasal sprays, allergy shots and simple antihistamines can be used to subdue symptoms, some patients are stuck with uncomfortable pressure that can only be treated by a professional. Specific surgical procedures and treatments are usually the method of choice by sinus-focused ENT specialists. For various reasons, people's breathing can be paused while they sleep, sometimes due to a blocked or collapsed airway. Air that passes through a restricted airway typically leads to loud and disruptive snoring. Airways can be blocked from a variety of genetic reasons, such as a smaller neck passageway, relaxed tongue muscle, extra tissue due to excess weight, or large tonsils. Mouthpieces, breathing devices, surgeries, and certain lifestyle changes can all be assigned by ENT specialists as necessary parts of your treatment to stop snoring and reduce your sleep apnea. The main focus of treatment plans for sleep apnea is to restore regular breathing patterns while sleeping, which can then lead to reduced snoring, reduced sleepiness throughout the day, and a better night's sleep. The treatments completed by Dr. Cohen have proven to stop snoring in his patients. Dr. Cohen takes pride in being able to treat patients with any of the diseases treated by otolaryngology and invites you to schedule an appointment today. Learn how the treatment you've been missing out on could provide the life-changing results you seek.